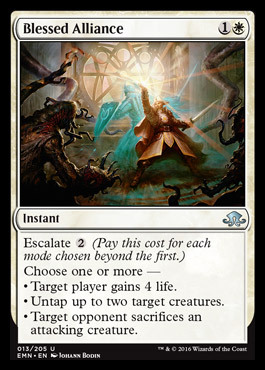 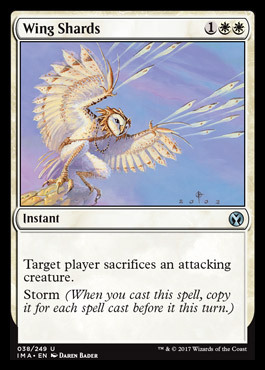 Target opponent sacrifices a creature that attacked or blocked this turn. 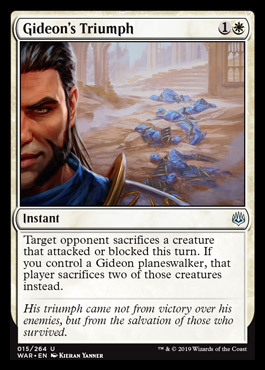 If you control a Gideon planeswalker, that player sacrifices two or those creatures instead. 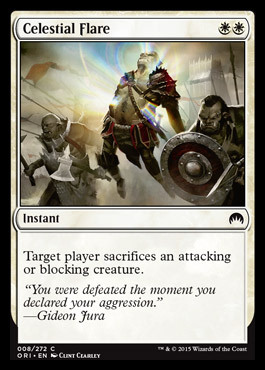 His triumph came not from victory over his enemies, but from the salvation of those who survived.